How Much Sleep is Actually Enough? Depending on what stage of life you’re at you might be thinking that it’s not a big deal if you sacrifice your sleep to get ahead in life. Sure, you can live on four hours of sleep a night so that you can make sure you watch all the episodes of that popular show on Netflix or work the three jobs to afford your fancy car. Our minds like to tell us all kinds of things and sometimes we shouldn’t listen to them. Is your brain a medical professional? Probably not. You might like to think you are because of your personal connections or what you read online but unless you went through grueling medical school, you probably aren’t a doctor or nurse. There is a reason we’ve been told we need no less than eight hours of sleep. It’s not just a random magical number; it serves a purpose. Humans need sleep just as much as they need food or water. Sleep is an indicator of overall health and well-being. 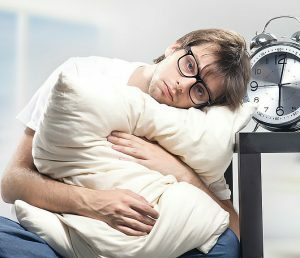 The amount of sleep one needs depends on a number of factors like age, quality of sleep, previous sleep deprivation, etc. Most people accumulate what is called “sleep debt” wherein people try to make up for sleep lost during the week during the weekends. But that doesn’t really work. In fact, getting as little as three to four hours of sleep a night is as bad as pulling an all-nighter. Staying up for 24 hours straight and then driving is like driving with a blood-alcohol content that is considered legally drunk in all 50 states. Shortage of sleep can be blamed for nearly 100,000 traffic accidents, 76,000 injuries, and 1,500 deaths every year. So how much sleep do you need? Children aged six and above need at least nine to 11 hours of sleep and teenagers need eight to ten hours of sleep. Seven hours of sleep should do for some but sleeping for over 11 hours a day can cause health issues. But some teens may need some extra sleep during puberty. It’s important to eat a balanced meal and it’s important to drink plenty of water. Just like these basics that have been drilled into us since our youth, sleep is something that is required to have a healthy life. It does get harder as we get older and various stressors come into our lives. Demanding jobs, young children or pets that require a lot of attention tend to eat into our sleep time. You are the master of your body and it’s up to you to make sure that your temple is in great shape. As much as you schedule in your weekly workout or that coffee date with the guy/girl next door, you need to make sure that you get proper sleep or you’ll pass out into your latté which will probably end your dating chances for a while. So draw yourself a nice lavender bubble-bath after dinner and try to leave the list of chores and to-dos out of your brain until you’ve had a nice soak. Have a warm cup of tea or milk before you head to slumber land and give yourself the appropriate time to nod off before your alarm screams in your ear.